Diablo 3 is certainly one of those games which merits a computer upgrade and if youre holding on to some money just for the occasion, this Aspire offering might just be the one for you. Priced at 49,900, this 14 inch notebook packs everything new into a package currently unmatched in the local laptop market. For that price you not only get exceptional hardware components: 3rd Gen i7-3610QM 2.3GHz, 8GB RAM, 750GB Hard Drive, Nvidia GT640M 2GB; it also comes with a Windows 7 Home Premium. It was a long wait for something new to come into the market beyond refreshes of earlier models and the V3 is certainly a very welcome addition to the fray. Currently this would rank at the top of high powered laptop recommendations and looks to be readily available. 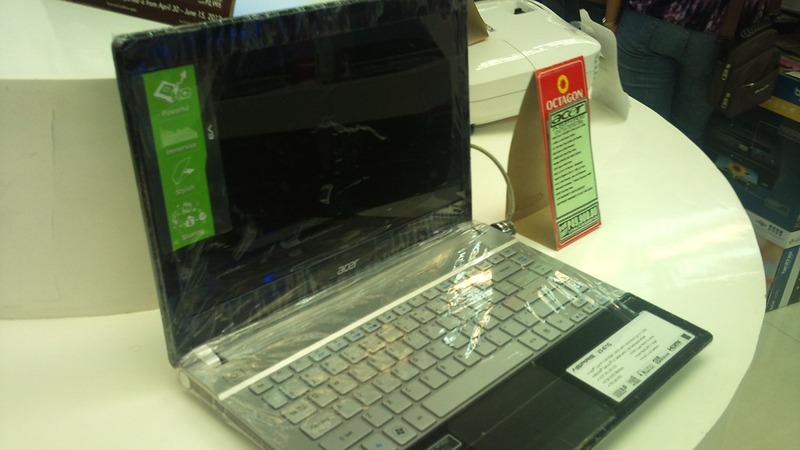 There is also a new i5 Aspire but it was only this one which caught my attention. While exceptional with its hardware, the aesthetic of ultrabooks are nowhere to be found. This conventionally translates to a short battery life and tethered use for most of its lifetime; a common sacrifice for raw power. Please do share your experience here if you had bought one. Thanks so much for the blog.Much thanks again. Really Cool…. HMR finally in plain sight!